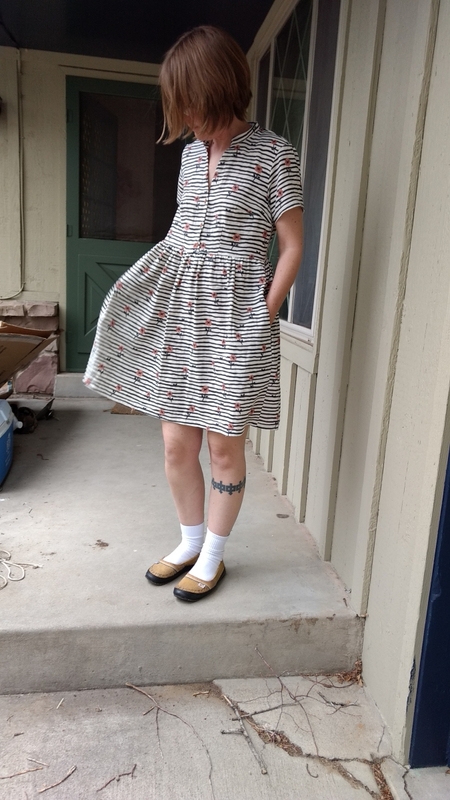 This is the first Myosotis Dress I made. It was made using double gauze from Hart's Fabric. 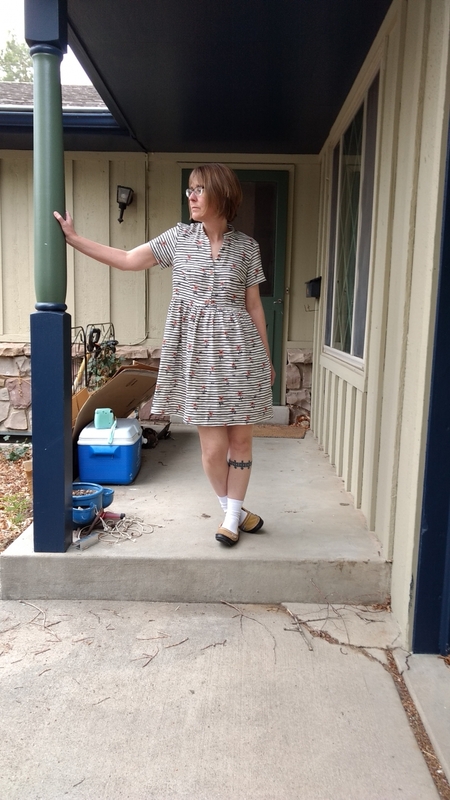 The double gauze was easy to sew, and the dress is light and summery. 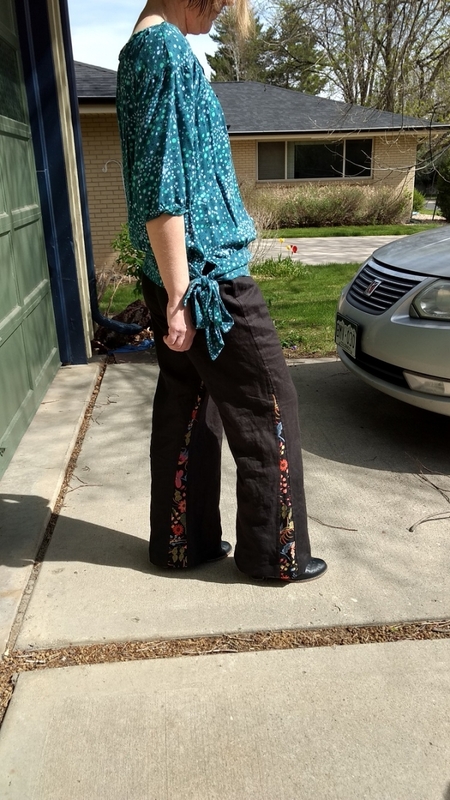 I made no changes to the pattern this first time through. I cut a size 34. The pattern was super simple. Also, I have to say this was the first bodice I have ever made that fits. Amazing. There was no part of the pattern where I got tripped up or wondered what I was doing. I cut a size small. 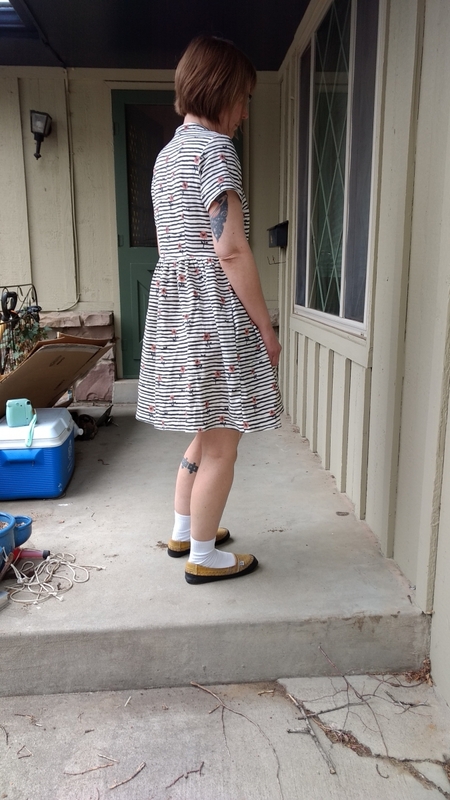 I made no alterations while sewing. The black fabric is 100% hemp linen from Hemp Traders and the godets are canvas from Cotton and Steel. The linen is from my stash, and the canvas was scraps from a pair of pants I made last year. I intended for these to be a wearable muslin. The pattern was easy enough to put together and cut out. There are very few pieces.